Mobile users have rated the Kika Emoji Keyboard #1, receiving Google’s Best of 2016 and Top Developer in 2015. Kika can be found on over 500M devices, with users spending an average of 50 minutes per day on the keyboard. Predictive emoji and GIF suggestions. Trending stickers, predictive GIFs, and hashtags right at your fingertips. Customizable layouts incorporated with emoji keyboard, with one-hand mode and split screen adaptive plug-ins. Features GIF keyboard themes and more from movies, sports teams, games, and freelance artists. Unique and cool emojis, like Messi, Ronaldo emoji, and much more. 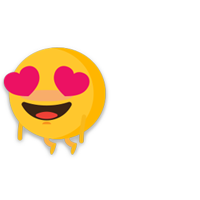 The virtual, cute emoji keyboard offers seamless use across all text-based apps including WhatsApp, Facebook, Twitter, WeChat, Line, and Slack. Available across all major smart devices. Allowing billions to digitally communicate in their native language. Global presence and recognition by partnering with major movie studios and sports teams like Real Madrid, FC Barcelona Wonder Woman, Minions, Despicable Me and more.